Raising a child costs a lot. And we mean A LOT. Parents spend thousands of dollars every year to accommodate their child's needs, purchase everything they need, and pamper them with special gifts. Of course, some of these expenses are indispensable. For instance, we absolutely have to buy such basic items as baby clothes, certain types of toys, a crib, and a blanket for swaddling the baby, as well as bottles, diapers, wipes, and formula (if we choose to use it). But, at the same time, some items many parents buy are optional, while others are plain useless. We are talking about Diaper Genies, baby food makers, bath time thermometers, designer diaper bags, and similar items. All of them cost a lot, many of them feature some kind of prestige, and some of them look really fancy, but all of them can be replaced with much cheaper alternatives. So let's admit that parenting doesn't have to bring such enormous financial pressure, and let's take a look at some of the most common and advertised, but completely unnecessary, baby products that some of us probably wanted to buy. And let's think again. Do we really need these things, or should we stop the madness and skip on them? You probably think that you're going to need a huge bunch of diapers for the time when your newborn arrives home. However, you might actually need fewer of them than you think. The thing is, your little one won't be going number 2 in full force at this stage, so getting fewer diapers is a much better idea. Stock on them after the first month and you'll save a lot of money. And to save even more, you can try reusable cloth diapers. Yes, you're going to need to wash them, but think about your wallet. And about the environment, of course, because cloth diapers equal less litter. 19 Is It Necessary To Keep Baby Wipes Warm? Surprise! Your baby doesn't care if wipes are cold or warm. They just want to be cleaned and loved. And no mental or physical issues in adulthood can grow in your kid from the fact that you used cold wipes in their infancy. Actually, unless you keep wipes in a refrigerator, which you probably don't, it's totally okay to use them without warming. After all, the purpose of using them isn't the most pleasant in the world and they will go to the waste bin the minute you wiped your baby. What's the point in buying a questionable device and wasting money on electricity to warm them beforehand? Here's something you should start doing even before you give birth. 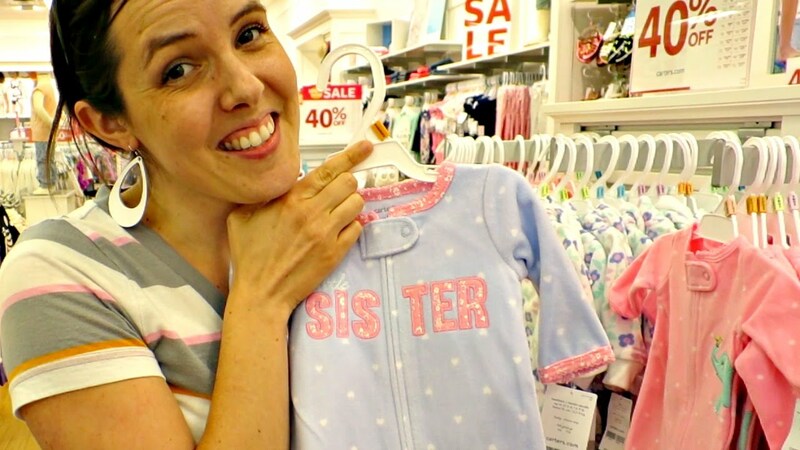 While you're still pregnant, stay away from Baby Gap, Gymboree, and Carter's. We know that you have these nesting instincts, so seeing adorable baby clothes will certainly make you buy them. And at that moment, no one can explain to you that you don't have to do it, because it's unlikely that your baby will wear them even once. Of course, you can purchase a couple of fancy outfits for special occasions, but not more. Keep in mind that your baby will outgrow most of their clothes in, like, a week. So is there a sense in buying expensive outfits from renowned designers? If you're still into all this baby-related stuff and want to have it no matter what we say, at least think about getting it somewhere else but designer shops. As Elena Mauer, an editor at TheBump, says, new moms should adopt a "Three Bs mantra": Borrow, bargain-hunt, and buy in bulk. You probably have friends or relatives who have kids and some of them might have the things you need. After all, you don't need to get brand new clothes your baby will outgrow in a blink of an eye, new toys, or even these fancy items you want to decorate your nursery with. If you can't borrow some things from your friends, try secondhand shops and garage sales to find them for a fraction of a price. If we didn't convince you about clothes, at least stop and listen about what waste it is to buy baby shoes. Yes, they're pretty and adorable. Yes, they're the cutest thing you've seen in your entire life. But think about it – they cost a small fortune. And meanwhile, your baby doesn't know how to walk yet. Why do they even need shoes? So you should either skip baby shoes altogether and opt for socks instead, or, if you want them just for fun, like for a Christmas party, try to buy them secondhand at a garage sale or in a consignment shop. What's a diaper genie? Is it an item new moms absolutely need? Or is it just a fancy waste bin that you can place in the nursery? If you ask me, I'll choose the second option. And, in fact, I'm better off with an ordinary and cheap waste bin, because why on earth does it matter where I put my baby's stinky diapers? So don't fall for fashion and for ads that show how wonderful this device it. And don't even think about buying a diaper genie. Even if you get one as a gift for your baby shower, it's a better idea to return it and use the money to buy something more useful. Sure, a designer diaper bag (or a diaper organizer) looks pretty. And it certainly allows you to keep diapers and other baby-related stuff in a nice and organized way. But do you know that it's also ridiculously expensive? In fact, it's just a huge bag with numerous pockets for different stuff. So why shouldn't you find an ordinary huge bag with multiple pockets in the market and use it to keep everything you need? After all, neither a designer diaper bag nor a simple bag will suddenly make you feel less of a sleep-deprived and puke-covered mom. But if you choose a simple bag, you'll at least save some cash. What's your choice? 13 Who Actually Needs A Bottle Sanitizer? It's certainly important to sterilize bottles you use for feeding your baby and keep them clean at all times. But you don't really need a fancy bottle sanitizer for this purpose. It's a completely unnecessary gadget that will make you waste your money and occupy some extra space in your kitchen. Instead, you can just wash your baby's bottles in an ordinary way. After all, you probably know how to wash dishes. Washing bottles isn't too different from that. Besides, the bottles you use can be dishwasher friendly, so you can just put them in the machine along with other plates, cups and utensils and they'll be squeaky clean. 12 And What About A Bottle Warmer? Here's another gadget you can safely do without. It's a bottle warmer. 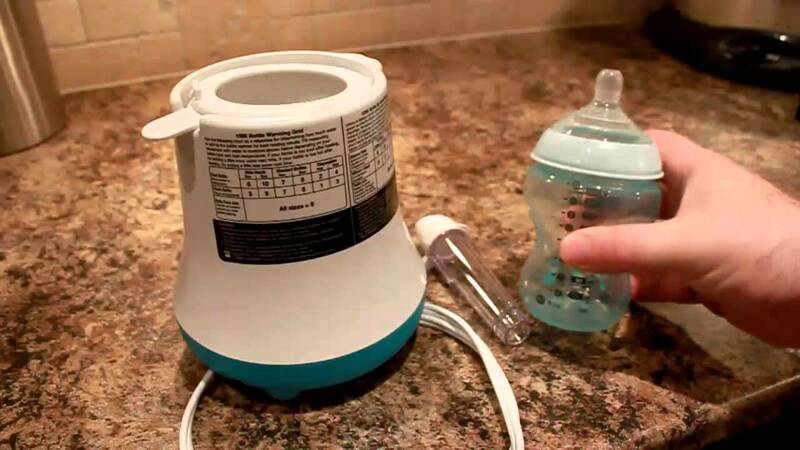 It's supposed to warm milk or formula in a bottle really quickly, thus saving your time and... wasting your money. Just think about it and you'll realize that you already have everything you need to warm your baby's milk. All this stuff is right there, in your kitchen. It's a water faucet and a pot or a random bowl that's deep enough to fit the bottle. Just pour warm water into this pot or bowl and place the bottle there for a few minutes. And here you go, you have an exclusive, homemade bottle warmer! Let's keep on speaking about useless kitchen gadget and turn our attention to a baby food maker. It's supposed to "blend and puree everything" a mom needs and do it all "with the push of one button." But do you want to guess what else blends and purees food and does it with a push of one button? Right, it's an ordinary food processor or a blender. So, obviously, you don't really need a separate food processor just to make food for your baby. If you want to buy it just for the sake of a recipe book that usually goes with it, buy this book separately for a much cheaper price or just look up baby food recipes on the web (for free). Speaking of baby food, it's going to be much cheaper if you cook it yourself instead of buying it in jars. You might think that it's inexpensive and isn't worth your time to cook homemade, but try to count how many jars you buy per week and how much you spend on it. And then take a look at the price of fresh fruits and veggies and do the math once again. At this moment, you'll probably realize that you don't have to waste money on packaged baby food. Just put a ripe banana, sweet potatoes, or fresh zucchini in a blender (not in a baby food maker, please!) and a serving of delicious, organic homemade baby puree is ready for your kid to devour! We can't argue that babies need toys. But they actually don't really need them before they are a few months old. So you don't have to bother buying toys for your tot before then. And when you decide to start purchasing them, don't give in to toy commercials that advertise "the best" and "the awesomest" toys that will help your baby develop at a tremendous pace. After a year, or less, they'll be covered in dust somewhere in your basement. Think about what toys you do need to buy and which ones you can skip as useless. And, even better, talk to your friends and relatives and ask them to give their kids' old toys to you. Trust me, they'll be more than happy to do it! Until a baby is a few months old, they can't sit up on their own and that's fine. That's natural. When they grow up they're free to sit for hours on end. Why would you make your baby start doing it earlier and buy them a floor seat? Especially considering that there's a safety belt that won't allow your kid to escape and will make them sit there for as long as you want (not as long as they want), it doesn't seem to be a good idea. Don't waste your money and just wait for your baby's musculoskeletal system to be ready and do the work by itself. Or get a bobby pillow or just an ordinary pillow, if you want to keep your baby elevated. We live in the age of Pinterest, which means that we get to see the prettiest designs of all kinds of stuff and want to have the same thing in our own houses. That's why we create this fancy decor in nurseries. We drool over high-end light fixtures, refined furniture, and glittery walls and we want our babies to have the most beautiful room ever. But... babies actually don't care. They can't even see distinctly and for a few months, they'll recognize you by smell. They won't notice the fancy design of their room until they're a few years old. So all you need to do is ensure that your baby's nursery is nice and comfy and it doesn't have to be Pinterest-worthy. Same goes to these pretty blankets and pillows. Your baby just doesn't need them. So you don't have to buy them in all kinds of designs, colors, and brands. Believe me, your baby won't care whether the blanket you use for swaddling is a plain color or has some cute animated characters on it. Besides, if you have multiple blankets, you won't want to wash them after all the spitting. So only get as many as you currently need. What is more, having pillows and blankets (and even toys) in your baby's crib is actually dangerous, because it can lead to SIDS. No extra objects should be near your baby, while they're sleeping. A lot of parents want their babies to grow into smart individuals and they're ready to do anything to make it happen. So they buy Baby Einstein DVDs and other kinds of video programs that claim to boost the mental development in kids. Do these things work? Barely. Watching Baby Einstein won't turn your baby into a new Einstein. And it won't make them a connoisseur of fine arts, classical music, or other things. So, instead of wasting your money, do more wholesome things, such as talking, playing, singing, and reading with your baby. And if you need a break, just turn on your baby's favorite cartoon on TV. One of the most useless baby gadgets, like, ever, is a bath time thermometer. This thing is likely to look super-cute and have a shape of some animal or cartoon character, as well as to fulfill its unsophisticated task – to measure the temperature of bath water and warn you if it's too warm. But why would you need a bath thermometer, if you already have a nice gadget for measuring the bath temperature? This gadget is your elbow. Just stick it in the water and see how it feels. Is the water too cold or too warm? Don't put the baby in. Is it nice and warm? Then it's bath time! The bassinet is another baby item that is rather expensive but completely unnecessary, however pretty and cute it is. According to Elena Mauer, an editor at TheBump, "Babies usually sleep in them for a matter of weeks because they're very small. We think babies can sleep in a crib from the get-go." Seriously, why would you need an expensive item that your baby will outgrow in a matter of weeks? It's even possible that you won't use it at all, because you'll want to co-sleep with your little one from the very beginning. So be a sensible mom and skip on the bassinet. There's a huge amount of clothes offered today for breastfeeding women. Special kinds of T-shirts and dresses, special bras – you name it. But do you really need them, especially considering that you are going to spend most of your first weeks at home? Just think about it. You'll be breastfeeding your baby and they'll be spitting all over your piece of clothes for god-knows-how-much money. Does it sound like a good plan? In fact, some will only really need special clothes for breastfeeding if they plan to nurse in public and the cover-up aspect is important to them. So you're safe to purchase only a few pieces you really need. You don't have to make your whole wardrobe breastfeeding-proof. We all know how germ-laden shopping carts are and we want to keep our kids away from them. For this reason, some moms decide to buy special shopping cart covers that seemingly protect kids from these germs. However, it's not the best idea in the world. In fact, many babies even refuse from sitting in these covers at all and, besides, they'll still want to touch the front handle and, pretty much, anything they see, so you can't completely avoid germs anyway. So skip on a cart cover. Instead, use baby wipes to clean your cart and wash your baby's hands more often, if you're worried about germs.